It’s that time of year again. We’re all making New Year’s Resolutions and looking forward to becoming better people – more importantly, better dog owners – in 2017. In your never-ending quest to make your dog healthier, train them better, and enjoy them more, you could spend hours reading, watching videos, and absorbing information. But all it takes is a few small changes to make big improvements as a dog owner. Simple resolutions are easy to stick with, and powerful results will keep you on track throughout the year. 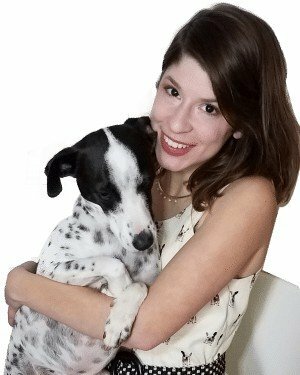 I asked 5 of my favorite “dog people” for their tips on improving the average dog’s life in one simple, actionable way. These are dog experts who create content that makes dogs’ lives better all year round. I personally have learned a lot from each of them and I hope you’ll do the same. If you can only follow 5 dog folks this year, these are, hands down, the people I’d tell you to follow! Without further ado, here’s 5 little ways to make a big difference in your dog’s life in 2017. 1. Soak your dog’s kibble in bone broth. One thing dog parents can do to improve their dog’s well being in 2017 is to soak their dog’s kibble meals in bone broth. Kibble is difficult for dogs to digest and despite the quality, many kibbles are lacking in nutrients (or the nutrients are difficult to absorb). Bone broth is a nutrient rich addition that dogs will love and adds the added benefit of boosting joint health. 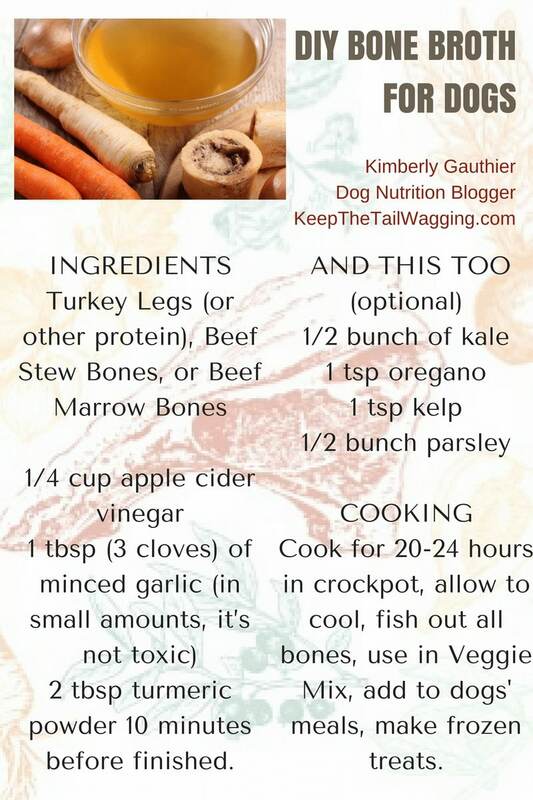 Get the full recipe for bone broth over at Keep The Tail Wagging. 2. Use coconut oil to prevent periodontal disease. Good dental care isn’t just for humans, but our dogs and cats too. Periodontal disease runs rampant in dogs and cats. According to The American Veterinary Dental College, by the age of three, most dogs and cats have at least the starts of periodontal disease. This is such a shame because this is one pet disease that is totally preventable by providing good dental care for our pets. But, don’t be fooled by the gimmicks or chemical laden dental products out on the market. Some common, yet unhealthy ingredients you may find in your pet’s toothpaste of dental chew can include things like wheat flour, wheat protein isolate, carrageenan, animal digest or even sodium benzoate. Instead, reach for the organic coconut oil, place a dab on your finger and allow your pet to lick it off. Coconut oil helps reduce tooth decay and plaque. Brushing your pet’s teeth is something every pet parent can accomplish in 2017. Learn more about dental care for dogs over at Raising Your Pets Naturally. 3. Set goals based on your dog’s age, based on their individual learning pace. At what age should my puppy understand potty training? At what age should my puppy know “sit”, “down”, “stay”? People always want to know if their puppy is on track. We bring our service dog puppies home at around 8 weeks old and by the time they are 4 months they have a solid grasp of the basics. Every puppy is different. Don’t worry if your puppy has not yet grasped all of these skills. When training your puppy be patient, persistent, and consistent and soon your puppy will have mastered all of these basic skills. Learn more about raising your puppy like a guide dog at Puppy In Training. 4. Read your dog to see how they want to be petted, and when they want you to stop. Most of us assume our dogs enjoy being handled and petted. They may be fluffy or sleek but in any case wonderful to touch, and we love to touch them. So they must love it too. But what if they don’t? What if they are signaling to us that they feel trapped and uncomfortable and we don’t even notice? Luckily, there’s a way to find out. Watch to see whether your dog initiates petting or just tolerates it. Does she push her head into your hand or lean into your space, or does she draw away or act nervous? Next time you want to pet her, try petting for a few seconds and then stop. Look for any sign that your dog wants you to continue. If she would rather not—why not respect that? We control so much about our animals’ lives. We can give them this little bit of autonomy and who knows—we might find that they trust us more. Learn exactly how to tell if your dog wants to be petted over at Eileenanddogs. 5. Visualize, Then Be Patient. A trainer many years ago taught me “visualize what you want”. While we were talking about dog training, it applies to life. We plan out our day, our meetings, calendars, meals, budget to reach our goals. If we VISUALIZE what we want from our dogs, then we get a better grasp as to what we need to teach them. Breaking down the bigger goals into reachable, teachable K9 Life Skills. When we do that, it gives us back the power to be more patient and confidence, thus bring more fun and rewarding to our pets. Being patient lets us not use our first reaction – which is frustration. If we are frustrated, then it means something did not go our way. Same with being mad. When you break it down, you can think… Why am I mad? What didn’t go my way? Is it worth the stress? How can I make this go my way? With dogs? Did I teach the right thing? Am I being overwhelming to my dog? Did I move too fast in what was teaching? Is my dog frustrated? Motivated? Hurt? This will help you be patient and to look at your dog’s body language to see what they are really trying to tell you. ~ Scott Stauffer, Owner/Operator at 2nd2no1 K9 Life Coach, Reward Based Dog Trainer, Trainer of Service dogs, aggressive dogs, and dogs of all temperaments. Learn more by Liking 2nd2no1 K9 Life Coach on Facebook, and watch Scott’s training techniques in action on his Youtube channel. My personal resolutions as a dog parent to Matilda and Cow are: to add bone broth and more fresh foods to their diets, go on more walks, and to learn nosework skills with them. 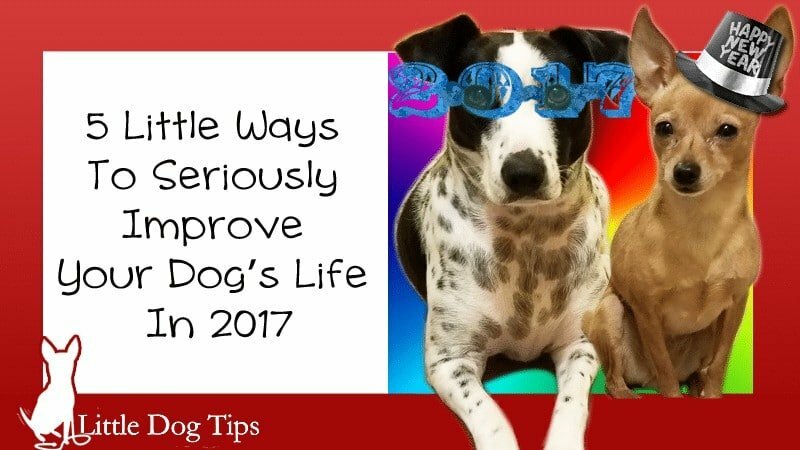 What are you going to do in 2017 to make your dog’s life better? Dex is going to love that! Has he ever been to class with you? Aw, they must be so proud! These are great tips for 2017! I’ll be pinning this to refer back to throughout the year. My goal for my dogs is to exercise more with them and get my Chi up to par with her training ( my other 3 do well, but refresher probably wouldn’t hurt either!). Thanks Lindsay! These are some great tips and a good reminder for me to start setting goals for 2017. I follow Kimberly and soaking kibble in bone broth is something I haven’t tried with my dogs. I never tried coconut oil for dental health and of course patience is something I always preach when talking about puppies and training. All the best to you in 2017! I haven’t thought about coconut oil for pet tooth care neither. Although I know some humans in my family that use (organic, of course 😉 ) sesame oil daily to rinse teeth. 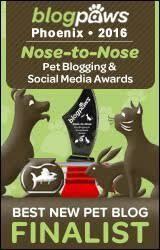 Have you heard about sesame products for pet dental care? How are you? Your first way “soak your dog’s kibble in bone broth” is very new to me, but I like it. You have shared an awesome recipe as well. Though dogs teeth do not get cavities easily, but we should take care of their teeth properly to minify other risks. I think not only brushing but also total grooming is very important. Besides these, their food and training should be ensured. I have read your whole post. You have also talked about the visualization and patient. I appreciate it. Thanks for your newest information. Very inspirational tips for dog owners. 🙂 I have a cute JRT puppy and I will follow these tips to make him and myself get along easily. Even though I’m learning about dogs for some time right now, I didn’t know about coconut oil technic to keep proper dental care for my dog. I have a Springer Spaniel, and he has the constant problem with tartar, so I will definitely try coconut oil. Hopefully, it will help. Great tips! I especially love the last one – being patient and understanding with your dog is so important when it comes to training them. They are a part of the family, after all! Thanks for sharing! Thanks, Lindsay ! My personal goal is to reconnect with Dexter on a new level. He’s now 7 and some of our fun training and tricks went by the wayside. These are great tips for 2017! I’ll be pinning this to refer back to throughout the year. My goal for my dogs is to exercise more with them and get my Chi up to par with her training. I follow Kimberly and soaking kibble in bone broth is something I haven’t tried with my dogs. Very inspirational tips for dog owners. I have a cute JRT puppy and I will follow these tips to make him and myself get along easily. I really liked your point on reading when the dog should and shouldn’t be petted. Dogs are animals, and they have emotions just like the rest of us. I always make sure my toddler never touches a dog while it’s eating. That seems to be the time they like it the least. Important point about setting goals that don’t hurry the learning process of your puppy. My puppy was the last one to learn to sit from the group at the puppy school. However for other things, he was the first one to learn the command. It just shows that not all puppies are the same, and the value of patience. If the puppy practices, in the end he will learn the trick anyway. I love number 4. Normally you think of dogs wanting constant attention and love. That isn’t always the case. Great article! I would like to thank you for such informative article. I found some new tips from here and your explanations are easy to understand as well. I’ll have another one for 2018, no worries! I personally need to commit to getting my dog out on more walks. Lately, I’ve been “OK” with letting my dog Carl burn off energy by playing in dog parks, but nothing really can beat a walk! Thanks Lindsay, these are great tips for 2017. My dog has periodontal disease these days, I wonder if it is effective when I use coconut oil for her now. lindsay I like your article about pet care, how the dog should be petted, you have described a very easy and informative point in the article, I also wanna add something, for a pet we must also use pet hair vacuum. I follow Kimberly and soaking kibble in bone broth is something I haven’t tried with my dogs. I never tried coconut oil for dental health and of course patience is something I always preach when talking about puppies and training. I personally need to commit to getting my dog out on more walks. Lately, I’ve been “OK” with letting my dog Carl burn off energy by playing in dog parks, but nothing really can beat a walk! I still haven’t had a chance to try her recipe, but I did buy some bone brother at my pet store and froze it into cubes, I like to microwave them on a cold day to warm up my pups. How can i use this coconut oil to prevent periodontal disease.Let me explain briefly .. if you write more about perodontal deasease it would be better for me . because my dog have this kind of problem … expecting your answer ..
littledogtips is the best guide for dog lovers also pet owners. Thanks for sharing this post. I am very interested in this topic. I would like to share my opinion on this.Rosehill Veterinary Surgical procedure in Plymouth has been long-established since nineteen-thirty-three and through the years an abundance of purchasers and their pets have benefited from our vary of devoted companies and the utmost ranges of care. It’s 2019 but these tips are still useful. Thanks for sharing them! Improving anyones life after a difficult time should always be considered. Improving a dogs life is just the same. They deserve to be loved no matter what and anything that can be done, should be done. Some amazing tips and advice here and really enjoyed reading! Some nice tips here. I think if more owners spent a little time each week to get to know their dog a bit more, they would each get so much more from their relationship. Dogs can be complex and getting to know their behaviors, habits, likes, and dislikes is what being an owner is all about! I am Jeanne . I love my dog. I took care of him very much. because i want to my dog Stay alive for many days. and i am sure, you have wrote very nice article on the improve dog life. thank you for your nice article. Hey, great tips for improving pets health – thank you. Coconut oil is my favorite, it can work wonders if used sensibly. Love your site!! 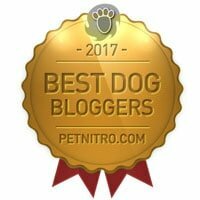 I love reading blogs like these, it always shows that although I am loving and taking care of my dog as much as I can, that there is always a way to do things better! These little ways are an eye opener that I can do more! Especially the dog broth bit! I love it, it’s genius! More often than not, my dog gets tired of the usual kibble, this sounds like a fun way to mix things up! Will definitely try, thanks! Seeing that there are alot of people still finding their way to this awesome blog and active in the comments, I’d like to add in my own tip to improve our furbabies’ life! I didn’t know Coconut Oil could be used to prevent Periodontal Disease. Good to know.